Although the fields at the Epic Poker League Main Events will be some of the toughest in poker history, this is offset by the $400,000 added to every tournament, as well as the chance to play in the $1 million freeroll at the end of the season. Basically the EPL is adding a $650 overlay to each of the four Main Event tournaments –which is more than enough reason for players to take a shot at the event even if they feel they are slightly negative EV on the whole. 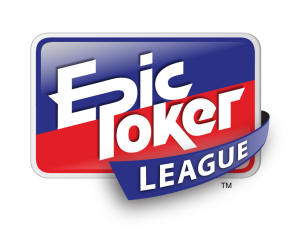 In addition to the value-added aspect of the tournaments, the Epic Poker League also offers mid-tier pros the chance for some exposure, considering the television exposure they could receive from a deep run. In fact, even the poker press has been covering the EPL events –both the Main Event and Pro/Ams—with a renewed enthusiasm. And as we have seen in the aftermath of the first EPL Main Event, winning an Epic Poker League is a very big deal, and will go a long way in getting one of those desirable sponsorship deals down the road. The $20,000 buy-in is a tough nut to swallow in a post-Black Friday poker world, where sponsorships are decreasing and chances to have someone pick up your tournament tab are few and far between. I wouldn’t be surprised if the overwhelming majority of the field is either backed, or has swapped significant pieces of their action with other players. As I stated above, the fields at the Epic Poker League Main Events are likely to be some of the toughest fields in poker history –there are no soft spots at an Epic Poker League table! Even the Pro/Am event proved to be a minefield, with many qualified EPL players trying to satellite into the Main Event for a mere $1,500. Overall players are going to have to look at their personal risk-to-reward ratio to determine if the value-added prize-pool and the potential exposure is enough to overcome an extremely tough field and a $20,000 buy-in. This entry was posted on Saturday, August 20th, 2011 at 10:57 am and is filed under Poker News. You can follow any responses to this entry through the RSS 2.0 feed. You can leave a response, or trackback from your own site.